Here at HubSpot, we're big fans of trying new things. We're into experimentation. We're into approaching our work differently than we may have previously, and taking on new projects that -- we hope -- will result in something that is helpful to those who come to us for information. A little over a year ago, we embarked on such a journey: one that would cover the latest tech news and trends in a way that's relevant to marketers and small-to-midsize businesses. Now, as 2018 is coming to a close, we're looking back on the news we've covered this year, and which stories were the most popular. To us, that's a key indicator to the most pivotal moments in tech this year -- and key to predicting what's to come in 2019. These are our top 10 news stories of 2018 -- and what they say about the tech landscape this year, as well as what to look for in the next. 1. 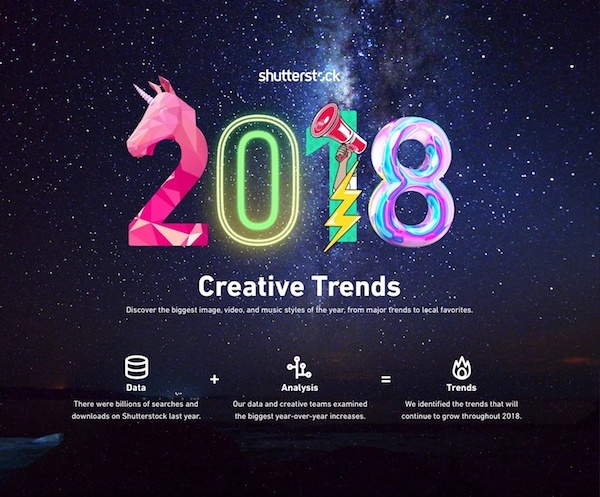 "Here Are the Top Marketing Design Trends for 2018 [Infographic]"